Mosaic is a set of services, libraries together with a specification that defines how its components interact with each other, to support a microservice style architecture for large scale websites. While decomposing the backend into microservices is a widely adopted approach to achieve flexibility in development and operation, most frontend solutions are still running as a monolithic application. Mosaic addresses this issue by using Fragments that are served by separate services and are composed together at runtime according to template definitions. As a result, Fragments can be iterated on very rapidly, be more flexible in technology choices, and can better benefit from the extreme development pace of today's frontend technologies. 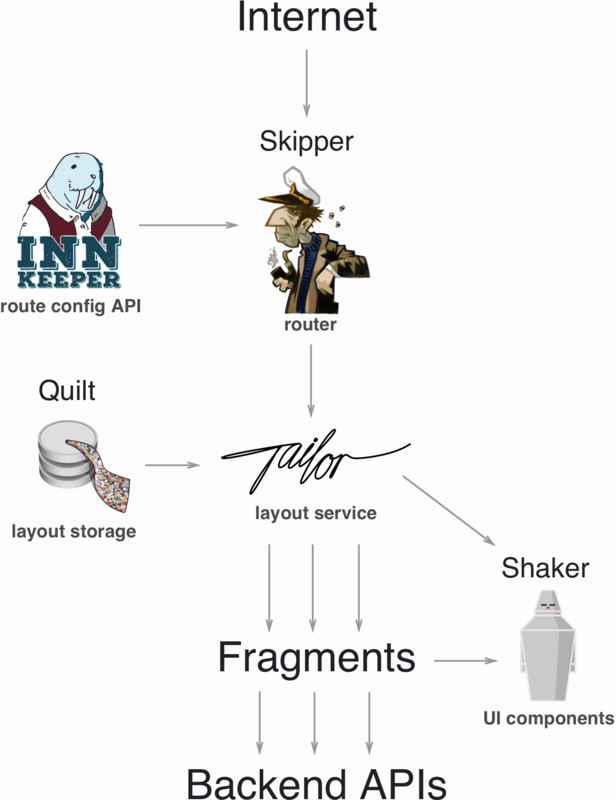 Tailor is a layout service that brings microservices to the frontend by composing a website out of various Fragments (such as Header, Product, and Footer). Tailor achieves impressive Time to First Byte, as it asynchronously fetches multiple fragments, assembles their response streams, and outputs the final response. Tailor is partially inspired by Facebook’s BigPipe. Skipper is an extendable HTTP router for service composition. It's built on top a reverse proxy with the ability to select routes based on predicates, and to modify requests and responses with filters. It can be useful for all teams who are trying to deploy a microservices architecture and want (or need) to decouple routing from service logic. Shaker is a library and living showcase for UI components. It is used inside Zalando to provide a consistent user experience while developing Fragments in distributed and autonomous teams. Quilt is the template storage used by Tailor. It integrates with Zalando's team structure and provides a REST API that allows multiple development teams to manage their templates. 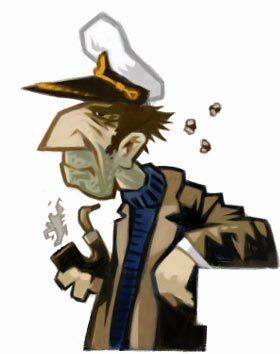 Innkeeper is a RESTful API that stores routes, so that they can be fetched by Skipper. Innkeeper can export the routes in the eskip format. As routes are divided by paths, it allows multiple teams to manage their individual paths. It is developed in Scala. Tessellate is a server-side React renderer that creates static HTML and a complementary component tree from abstract JSON definitions. It comprises several micro services built on top of the Mosaic architecture. Interview about microservices in the frontend and how to get there with mosaic (in german language).